A straightforward UK robo-advisor with low fees and few frills. 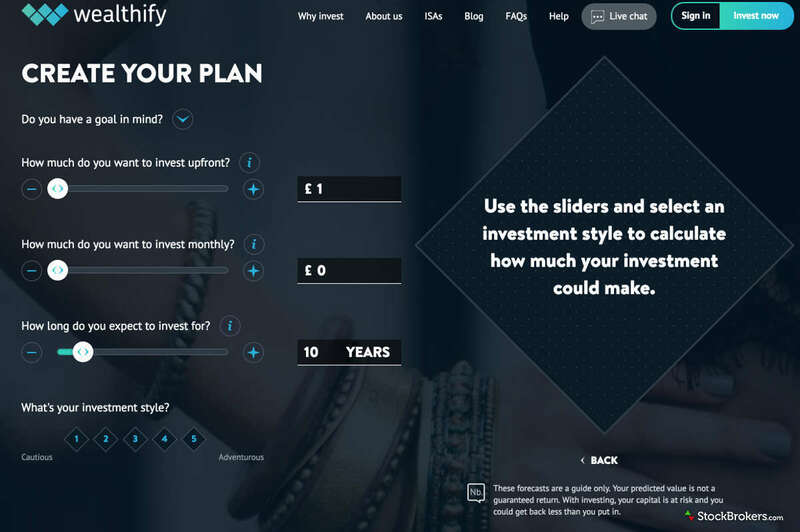 Wealthify is an independent, Cardiff-based robo-type advisor, founded in 2014 with a full launch in April 2016. As with most robo-advisors, the company uses proprietary software alongside an expert investment team to produce and manage investment plans for its customers. Wealthify is fully authorised by the Financial Conduct Authority (FCA). Wealthify reported its year one performance data in February 2017 and beat many industry benchmarks across its plans as follows: Adventurous (28.5%), Ambitious (22.25%), Confident (18.28%), Tentative (11.86%), Cautious (8.86%). Winterflood Business Services acts as their custodian and is responsible for holding client cash and investments safely. Winterflood is also part of the Close Brothers Group (which has been trading for more than 130 years) and is also regulated by the FCA. The client’s money is invested in several funds, which are a collection of investments and therefore offer cost-effective exposure to global financial markets. Wealthify differs from its competitors slightly in that the company uses ETFs and mutual funds, both of which are low-cost and passive investments. These funds contain a mix of different asset classes, including shares, bonds, commodities, and property. This diversification should allow for a spread of risk. The combination of funds changes over time and will depend on the client’s risk profile, alongside the state of the financial markets. Investment decisions are made primarily via an algorithm based on the Sharpe Ratio. This investment theory was developed by Nobel Prize-winning Stanford academic William Sharpe. The Wealthify investment team then uses global financial market data and its algorithm to oversee investment decisions and rebalance investment plans accordingly. During times of heightened market volatility, investments are switched to less risky assets. The cost of investing is on a simple sliding scale depending on the amount invested. For an investment of £1-15,000, the fee paid to Wealthify is 0.7% per annum (with all fees paid monthly). For investments above £15,000, but below £50,000, the total annual fee drops to 0.6%. Whilst for investments above £50,000, the annual fee is 0.5%. Again we stress that this is on the full amount of the investment (not just the amount held above the threshold). On top of these fees, a further annual charge (0.17%, on average) is paid directly to the fund providers. This fee is at the lower end compared to Wealthify’s peers. The minimum investment is £1.00. When the account fees and the average fund fee are combined, Wealthify comes as out as very competitive compared to other UK robos, including Nutmeg, Moneyfarm, and Scalable Capital. 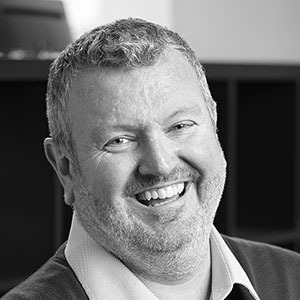 Money farm offers lower charges for accounts less than £10,000, and Nutmeg offers lower charges on accounts above £100,000; however, in between, Wealthify is, in most instances, the most cost-effective choice. 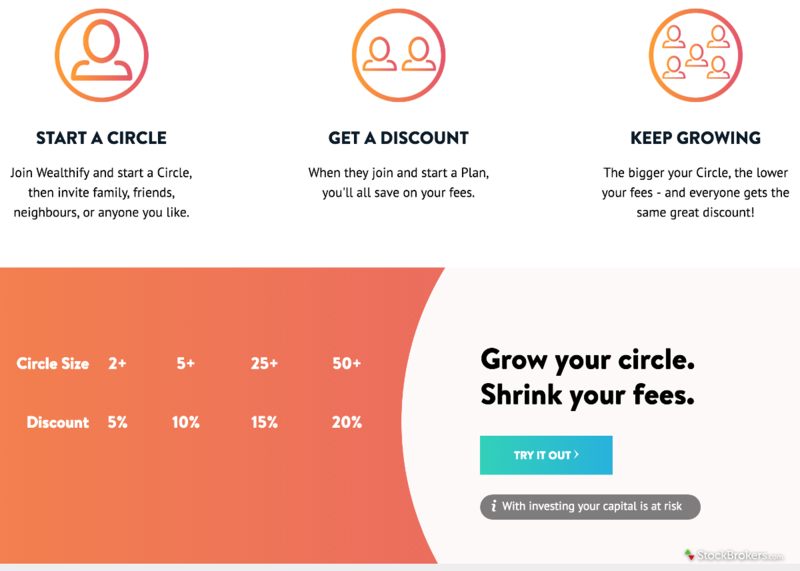 There is also an incentive discount for referrals, which Wealthify calls, “Circles.” If you introduce two or more friends or family members, a discount of 5% is applied to your fees and theirs. This rises to 10% for five or more referrals, 15% for over 25 referrals, and a 20% discount for more than 50 referrals. The customer service team at Wealthify is available by telephone from Monday to Friday between 9.00 am and 6.30 pm, which is about the average opening time for robo-type advisers (Moneyfarm hours are slightly longer; Nutmeg’s hours slightly shorter). There is no access by telephone to the customer service team over the weekend. Rather than a direct email address, it is also possible to correspond via an online portal, and we found response times relatively quick – within a day. There is also a live chat option, which we found to be well staffed during our testing, offering quick response times. As with all robo-type advisers, the client services team is not able to provide financial advice. But again, as with most of Wealthify’s competitors, we found the support representatives to be very knowledgeable about their product and able to answer all our queries in full. Pick up response times on the phone were very quick. Whereas most robo- advisors take the client through several questions to ascertain the individual’s risk profile (and therefore asset allocation), with Wealthify, clients initially grade themselves between one and five on a scale between cautious and adventurous. Only then is the prospective client taken through a series of eight questions to determine whether the risk profile selected is compatible with the risk questionnaire. 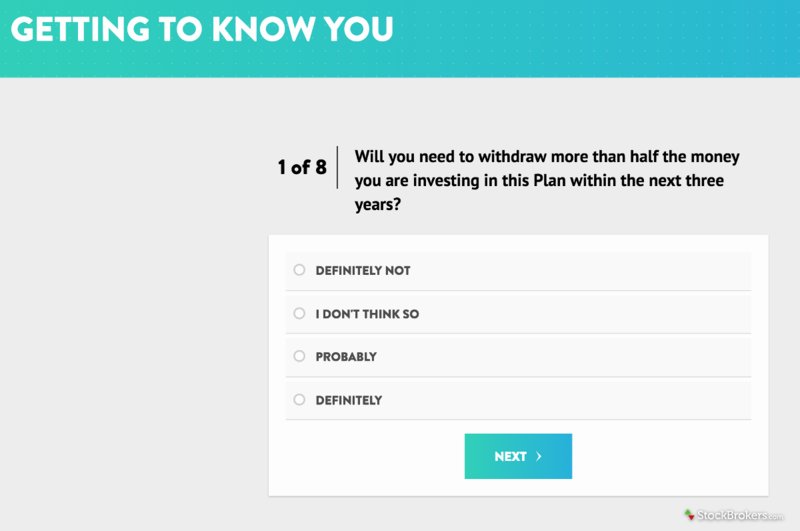 Furthermore, the questions asked are extremely uncomplicated, and don’t require any financial market knowledge to answer (which is not necessarily the case for some of the other robo-investors). This may appeal to some investors as it allows for a more subjective input from the client initially. Some investors, however, may prefer the more objective approach taken by other robo advisors. Account setup aside, there is an educational/research area within the Wealthify blog. However, articles are quite basic and infrequent compared to what is on offer from their close competitors at Nutmeg, Moneyfarm, and Scalable. On the mobile side, Wealthify offers both an iPhone and Android app, which we found to be intuitive and user-friendly, with the primary drawback being that it only displays basic account information. Together with the investing account, it is also possible to invest via an ISA account. This provides UK clients with ISA-related tax benefits. Low fees at most levels of account size make Wealthify an attractive prospect for any UK investor looking for a robo-advisor service. We do not view the absence of educational or research content as a significant negative for Wealthify, whilst the simplistic questionnaire and risk profiling will likely be attractive to more passive investors.